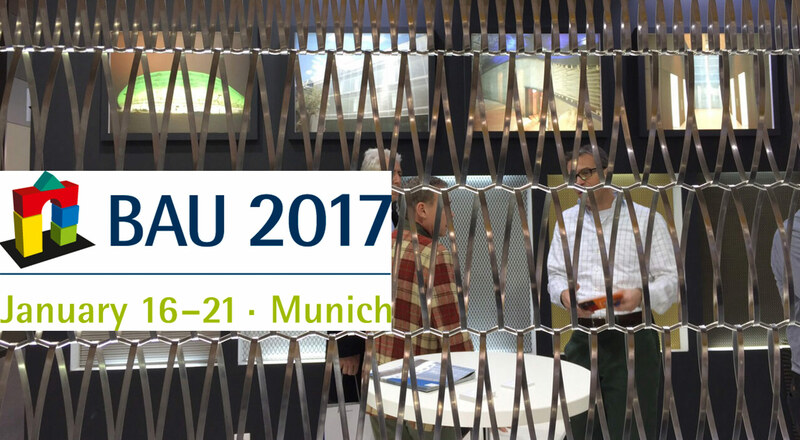 The international importance of BAU 2017, which will be held in Munich from 16 to 21 January, will attract the leading companies and professionals from the architecture, materials and construction sector. During the five days which the event lasts, BAU will be a showcase for the latest developments and innovations from the sector. It is an almost obligatory event both for getting to know the sector, as well as for the important contacts that can be made. In this edition themes such as energy efficiency in construction will play an important role in all of the exhibition areas. Moreover, attendees will be able to enjoy a full programme of events, highlights of which will be forums with world level architects and engineers. With more than 1,900 exhibitors from 43 countries, BAU occupies the entire site of the Messe München fairground, with 17 pavilions and four entrances. There is a total exhibition area of 180,000 m2, which gives an idea of the scale of what is considered to be the largest construction industry event worldwide. Codina, well aware of the importance of this international event, will once again be present this year to showcase its latest innovations in architectural meshes and Deckmetal ceilings. Years of experience and projects at an international level attest to Codina’s prestige; in recent years the company has stood out for its new creations in wire mesh and innovative fixing systems that have impressed some of the biggest names in contemporary architecture. For this reason we are preparing a spectacular stand where we hope to make important contacts.